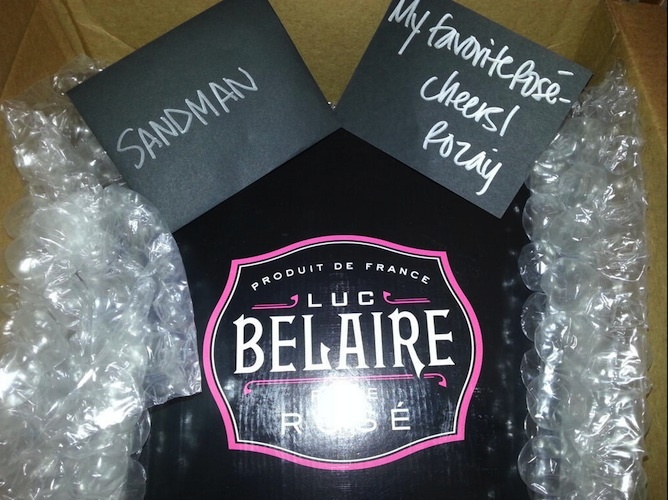 Drink Can Rick Ross Propel Hip-Hop's Next Hot Drink? 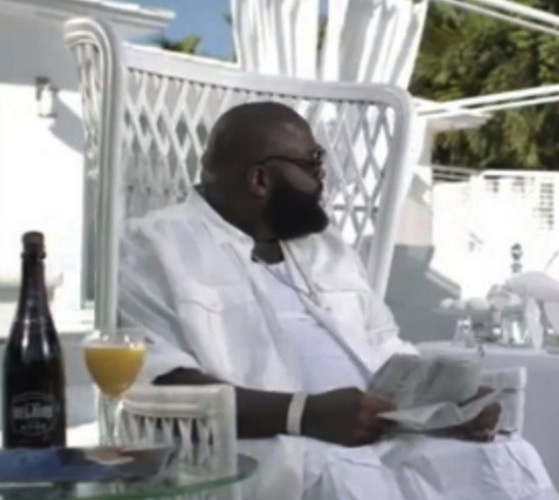 Can Rick Ross Propel Hip-Hop's Next Hot Drink? 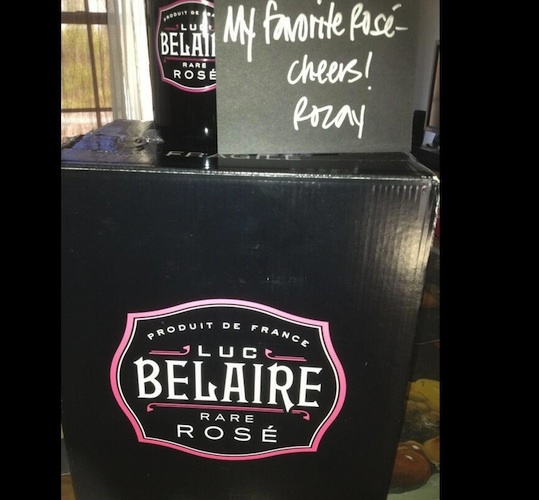 There's a surprising power couple behind Ricky's new favorite rosé. 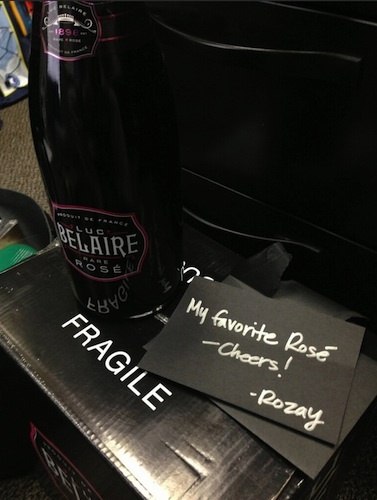 Rick Ross: Rapping gourmand, Maybach Music Group mastermind, and a man who is not shy about declaring his preference for pink-hued sparkling wines over the favored Champagnes of his peers (perhaps simply because his nickname, Rozay, sounds like rosé, but who knows). 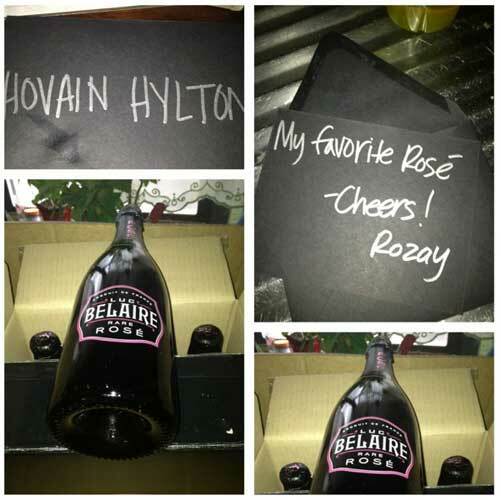 In an eye-catching Instagram photo today, rap manager Hovain Hylton revealed Rozay’s favorite rosé, Luc Belaire. 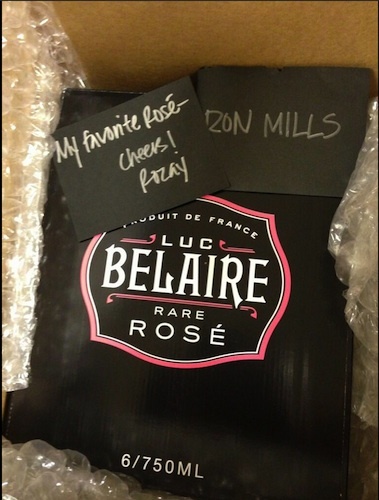 The Miami rapper sent Hylton a case of the stuff, complete with a hand-written note that matches the alliteration we’ve come to love in Ricky’s lyrics. 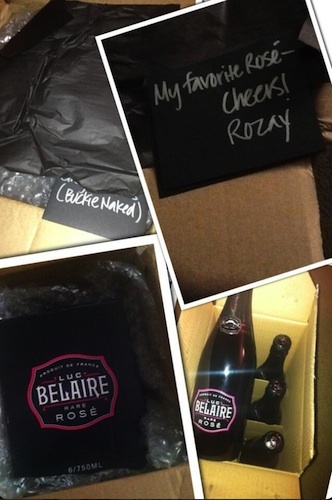 Upon further investigation, Hylton was not the only one to receive this package—Ross has been sending personalized cases of Belaire to all sorts of hip-hop movers and shakers, including a slew of DJs who have tweeted and Instagrammed their appreciation (see the gallery above). 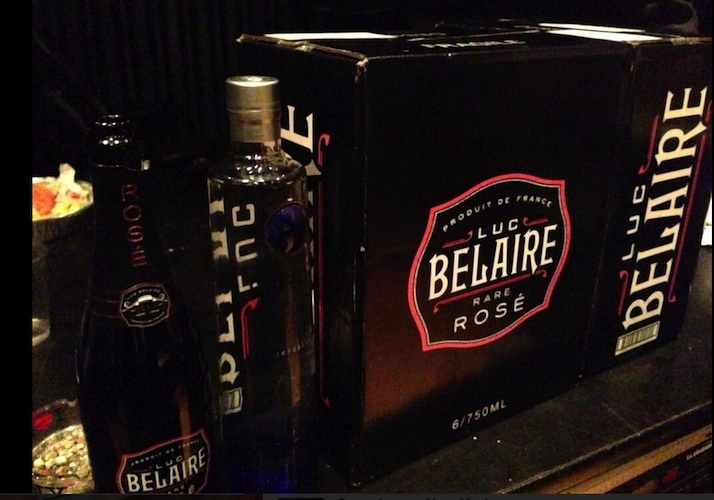 Does Rick Ross have what it takes to inspire large-scale adoption of Luc Belaire as the “it” drink of summer 2013? 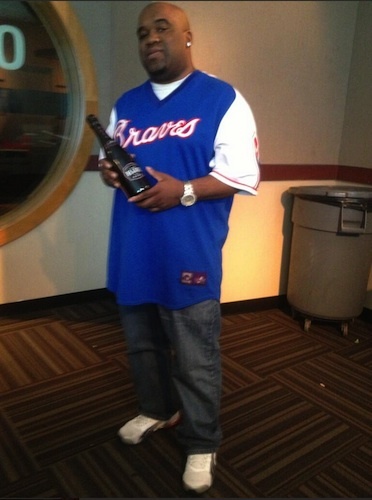 As with its fashion, hip-hop is notoriously fickle in its drinking preferences. 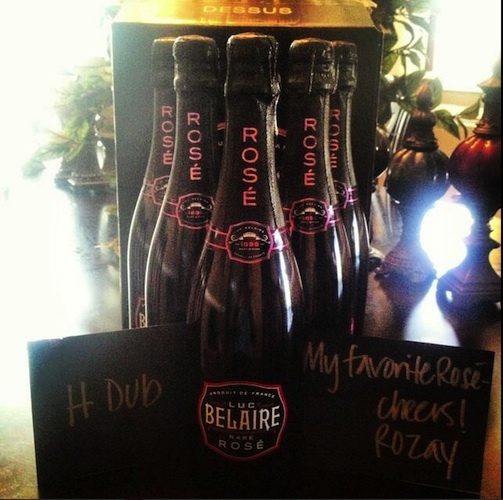 While brands like Hennessey and Dom Pérignon have traditionally dominated lyrics, these days the booze trends tend to be driven by savvy marketing alignments, and often a rapper name-checking a new spirit or wine is the best evidence that he or she has some stake in its sales. 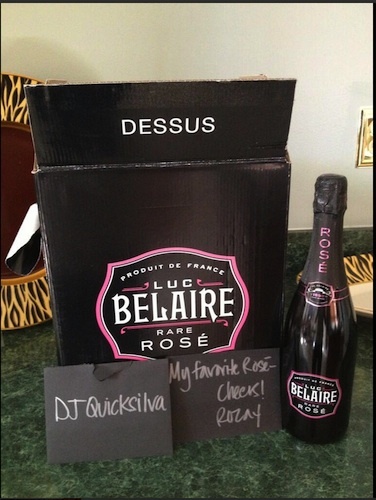 So, the question is simple: Does Rick Ross have what it takes to inspire large-scale adoption of Luc Belaire as the “it” drink of summer 2013? We can only assume that he’s seeking that outcome, as something seems unmistakably fishy about the random brand allegiance. 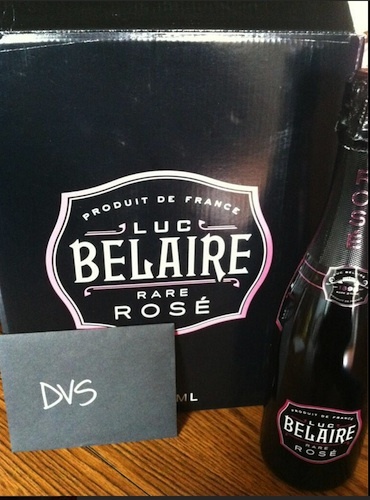 After all, Luc Belaire was trademarked just two years ago, Google searches unearth just one questionable review, and nobody outside of the MMG inner-circle seems charged up about the beverage. A quick look at its ownership reveals that there may be machinations at work. Check it: The brand’s trademark (filed in 2011) is owned by Alana Berish, who also has under her name the Bacardi-produced Henri D’Usse’ Cognac, which is endorsed by Jay-Z. And…wait for it…she is also the wife of Brett Berish, owner of Sovereign Brands, the very same company that birthed Armand de Brignac, a.k.a. 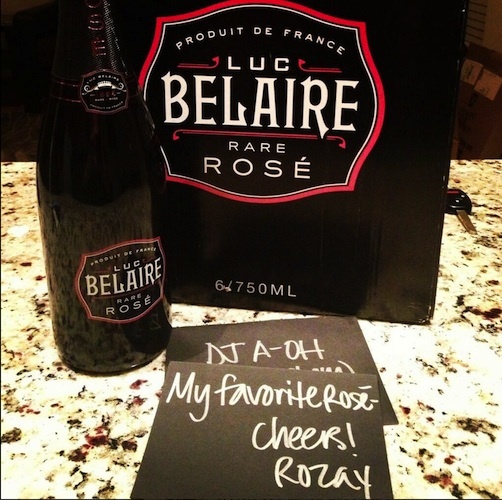 “Ace of Spades,” which is the champagne that Jigga has propelled from obscurity to rapper staple. 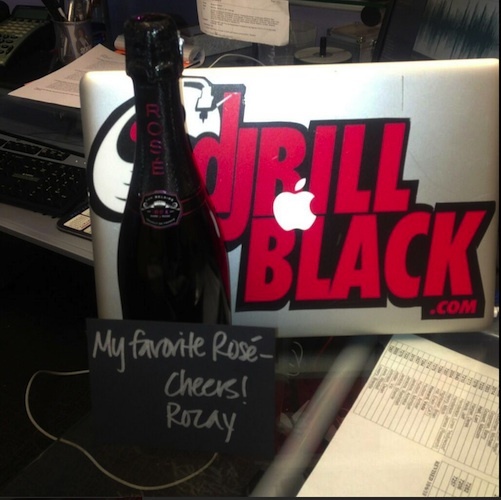 It looks like the mysterious hip-hop beverage power couple may be aligning with Ross to score another big win. If so, Ricky is probably hoping this one will work out after Reebok dropped him over a controversy surrounding his lyrics. 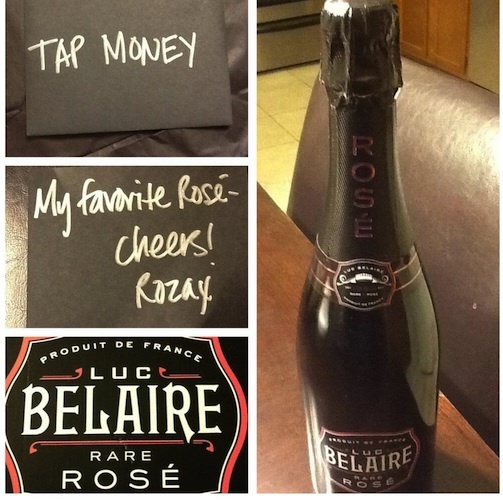 In the meantime, keep your ears peeled for Belaire shoutouts, and think twice about the source before taking them as legitimate co-signs. 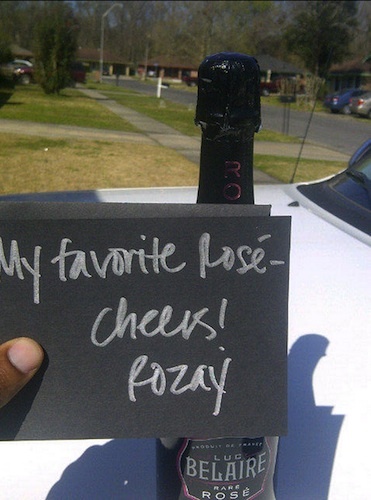 Click through the gallery to see evidence of Ricky's rosé gifting spree. "Young entrepreneur. 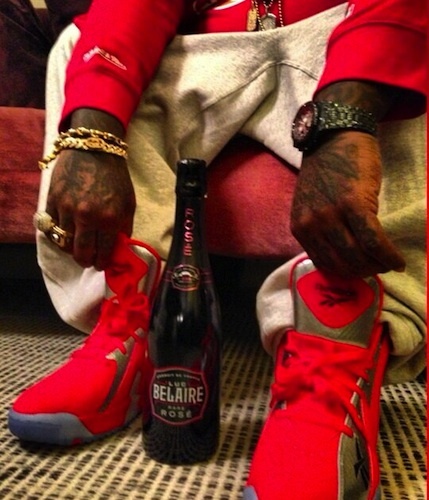 #motivation @ReebokClassics x @MaybachMusicGrp"
Peep the product placement in Ross' Reebok commercial. 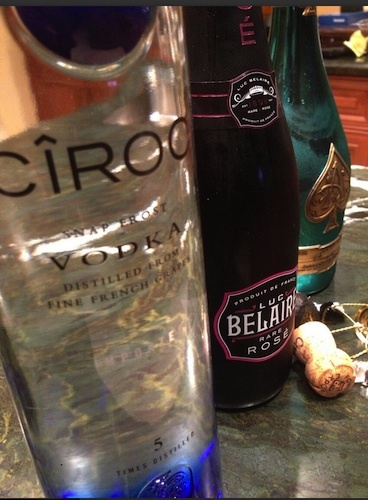 Ciroc, Belaire, and Ace of Spades. Ross tweeted this with the caption, "Keep it simple."